Putrajaya is a city located 25 km south of Kuala Lumpur, the capital city of Malaysia. Built in the 1990's, it is the brainchild of Malaysia's 4th Prime Minister, Tun Dr Mahathir Mohammad. 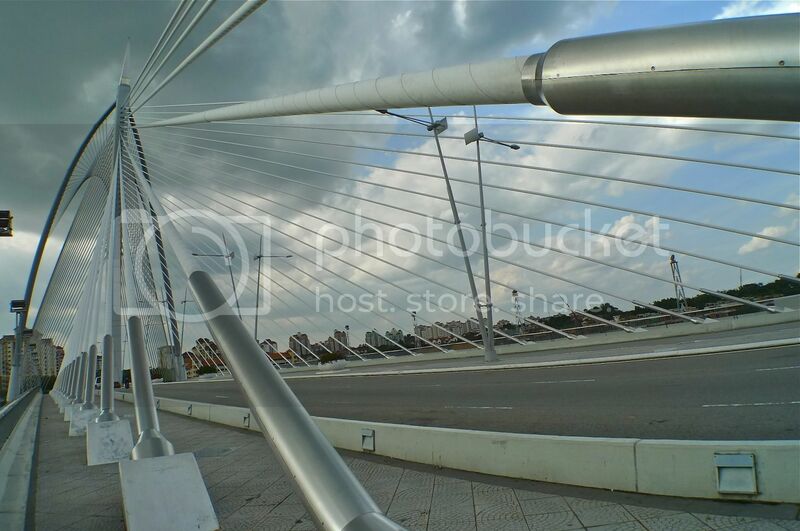 Today, Putrajaya serves as the Government administrative centre besides being a famous tourist attraction. The unique thing about Putrajaya is the 650-hectare man-made lake called Putrajaya Lake which stretches across the city's different precincts. Can you imagine the earth being dug up round a piece of land to create the image of a lake surrounding an island? Did you know that there are altogether 9 bridges spanning the lake that link the different precincts and 7 of them connect the mainland to the core island? Last month, I went to Putrajaya to get to know more about these 9 bridges. 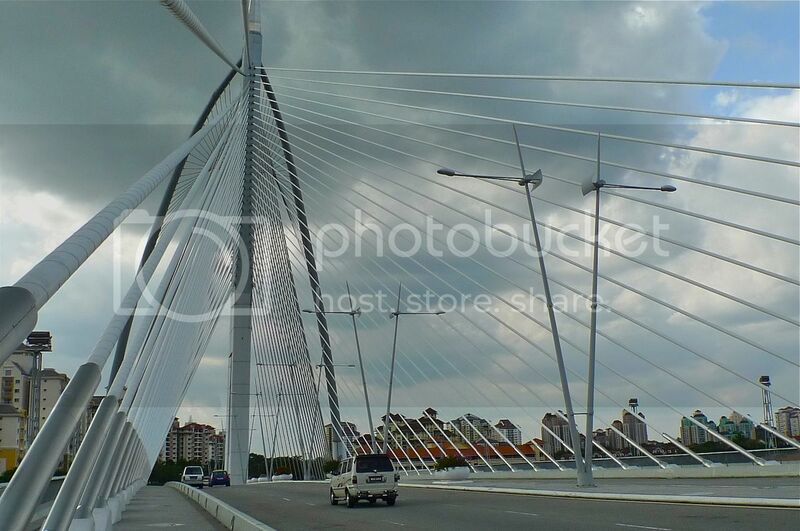 Today, I will cover one of the most popular bridges in Putrajaya - Jambatan Seri Wawasan. 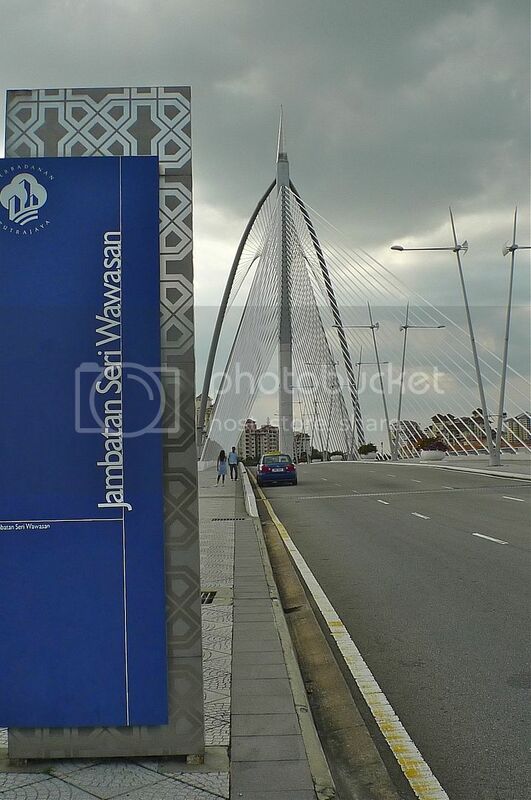 Jambatan Seri Wawasan or the Seri Wawasan Bridge connects Precinct 2 on the core island to the residential area of Presinct 8. 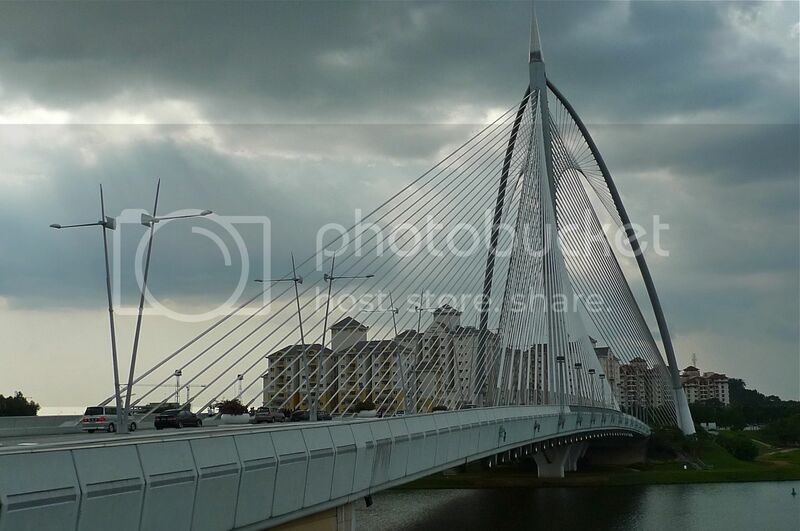 The weather was not too good when I took pictures of this landmark bridge. Dark clouds were looming in the sky threatening to rain at any moment! 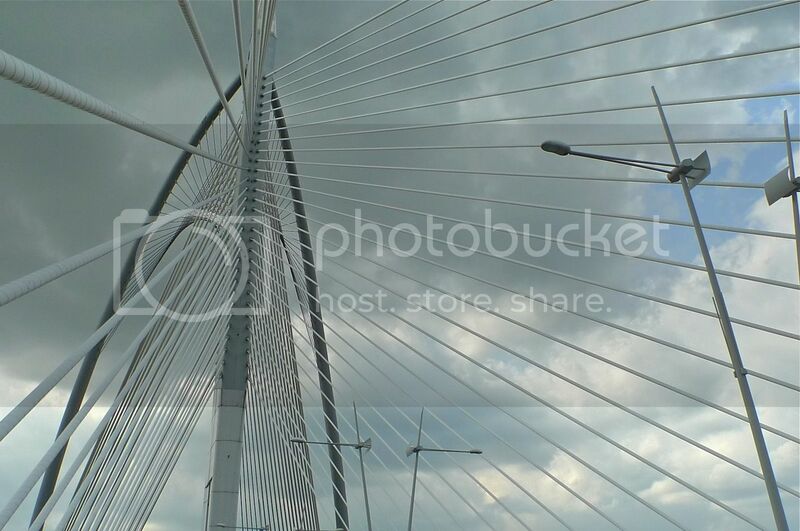 Do you like the futuristic style of this bridge? 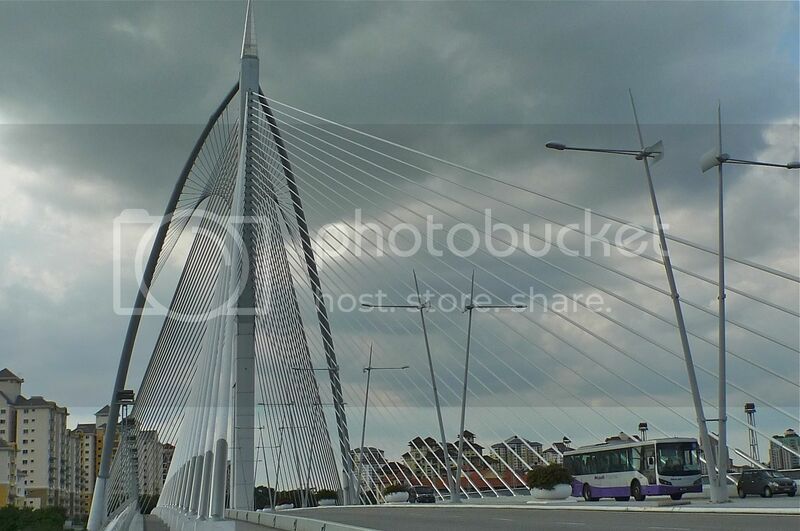 It is a cable-stayed bridge that looks like a sailing ship from far! It also looks like an arrow and a bow ready to shoot the arrow into the sky! 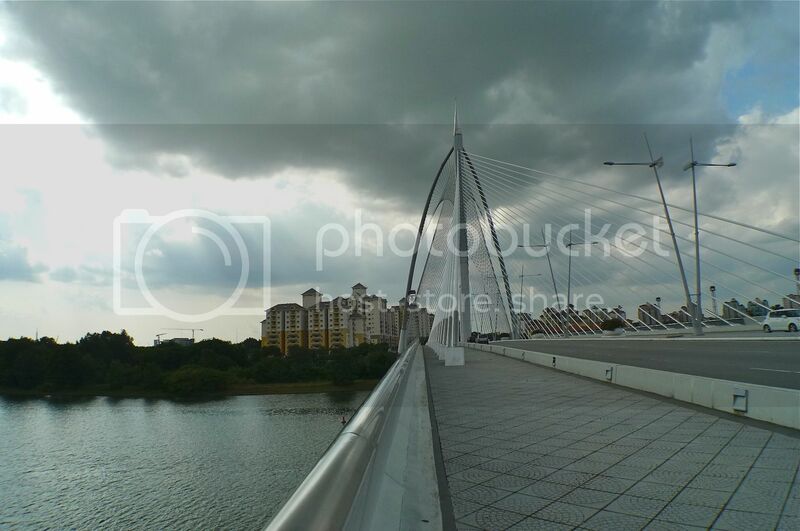 It is a concrete bridge that combines cable backstays and structural steel tie backs. 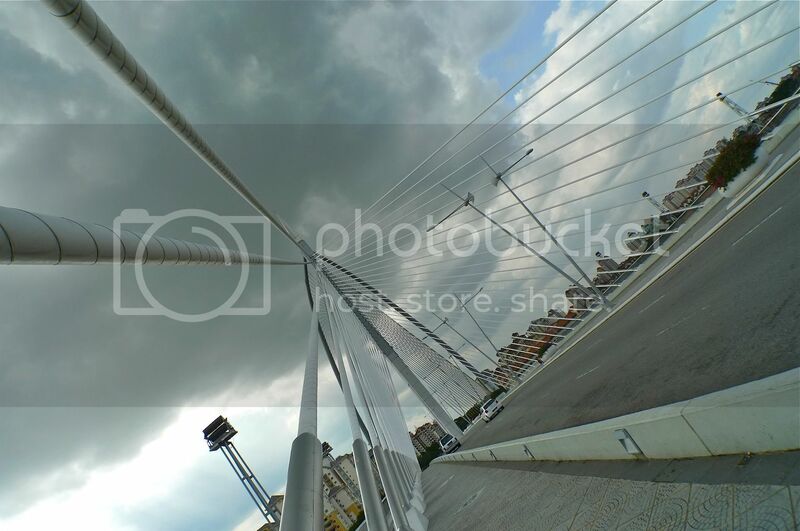 The Seri Wawasan Bridge is a dual three-lane carriageways with walkway and cycling track at the sides. 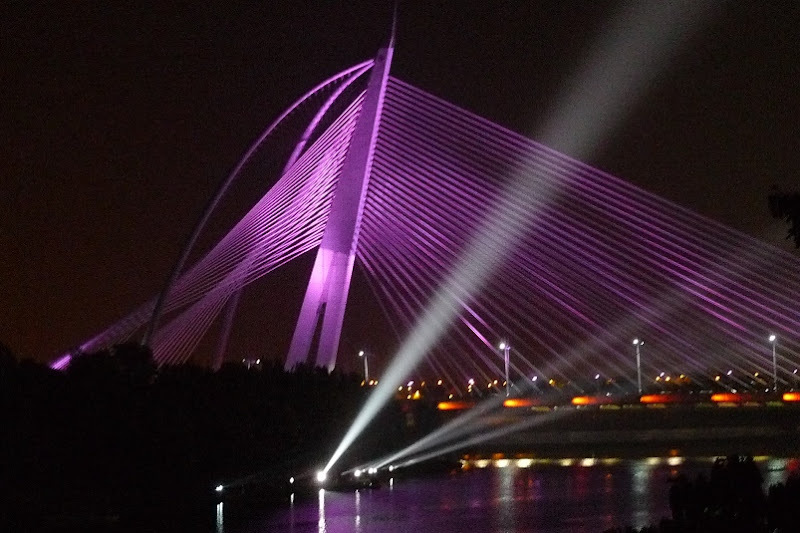 Perhaps one of the most elegantly designed bridges in Putrajaya, it can be easily spotted from many vantage points in the city. At night, the bridge looks even more beautiful in colored lights.